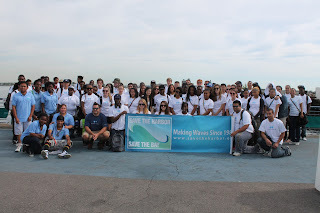 Sea, Sand & Sky: Let's Give Back! Hey guys! How's it going? So, I am Juelle Benjamin. I also work as an intern for Blue Cross Blue Shield. The point of meeting up with BCBS this past Wednesday was to clean up Georges Island! 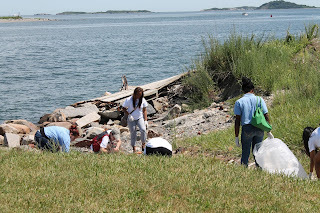 Although, Georges Island is kept pretty tidy unfortunately sometimes people still tend to litter. Over 20 BCBS interns helped clean up Georges Island along with Save The Harbor/Save The Bay Junior Program Assistants. 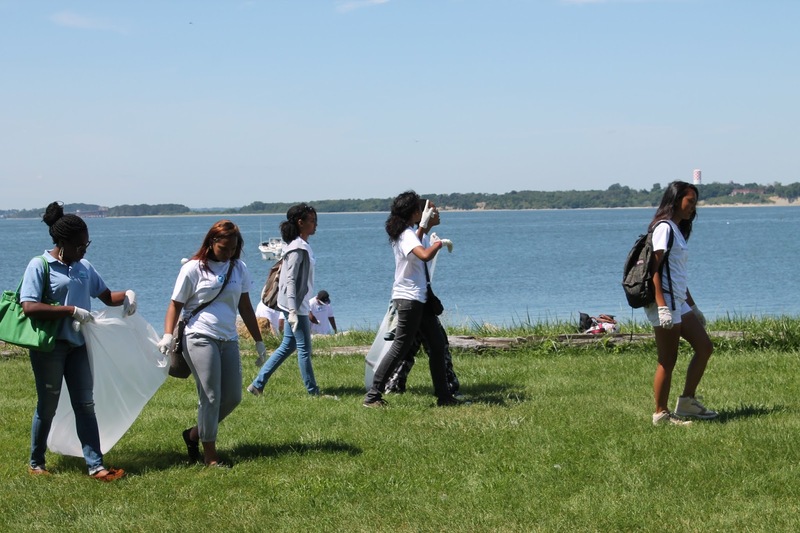 The BCBS who don't work at Save The Harbor/Save The Bay got to experience what Georges Island was like on a regular day. They even went into the creepy tunnels and ate tasty food at the Summer Shack! 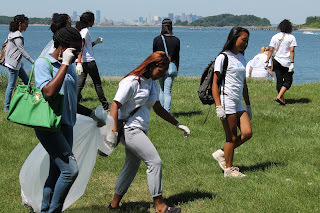 I had such a good time at Georges Island, we made community service fun! It's not bye, it's a see ya later!